You can also join French climbing legend Catherine Destivelle on the imposing yet beautiful Aiguille du Midi, the 3842-meter peak near the Mont Blanc. Or, crouch below innovative filmmaker and free skier Candide Thovex as he soars through the air or has fun as only he can—by taking his skis from the snow to the grass. 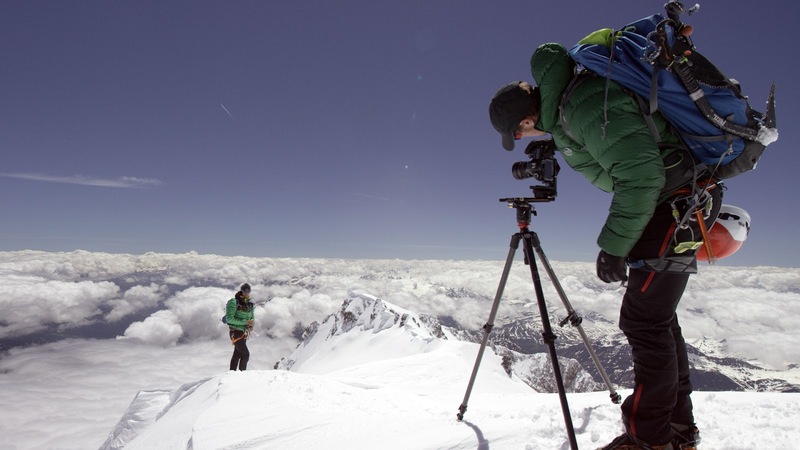 Renan Ozturk, acclaimed cinematographer and National Geographic Adventurer of the Year, alpine photographer Jonathan Griffith, and Sender Films joined Google on Mont Blanc as part of the team. If reaching the top is what you care about, elite guide Korra Pesce joined the troupe by carrying the Street View Trekker up and down the Goûter Route of Mont Blanc. 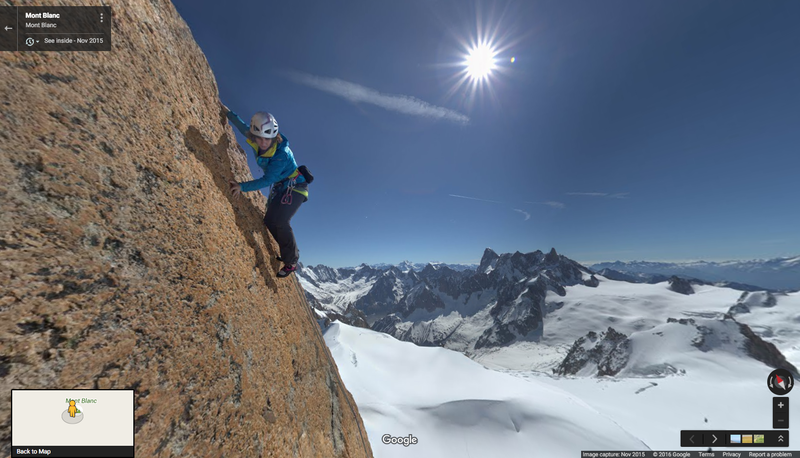 Click through the Street View to get his first-person perspective of each step to the summit. Unfortunately, Mont Blanc’s glaciers are receding due to climate change. You can learn more about how the rising temperatures are directly affecting the mountain from legendary guide Patrick Gabarrou, who describes the the glacial melt on the Mer de Glace. So this Street View imagery also serves as a digital record of Mont Blanc as it appears today, so future outdoor enthusiasts and scientists can look back at this time capsule to see how the mountain has changed. Whether you choose to run up the Mont Blanc with Kilian Jornet or ski down with Laetitia Roux, we hope you enjoy reaching new heights in Europe’s beautiful and endangered mountain range.